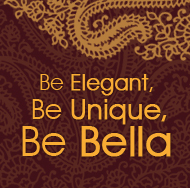 Description: Delightful and graceful! 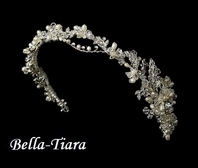 This lovely headband piece features a wonderful cascade of antique silver plated flowers adorned with sparkling clear rhinestones, radiant clear Austrian crystal beads and luminous white pearls. 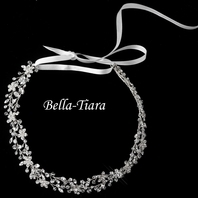 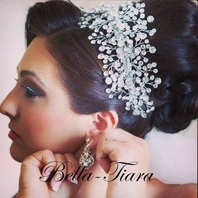 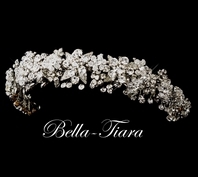 This stunning headband will definitely make you feel ravishing on your special day and is the perfect choice for weddings, proms, homecomings or any other elegant affair!